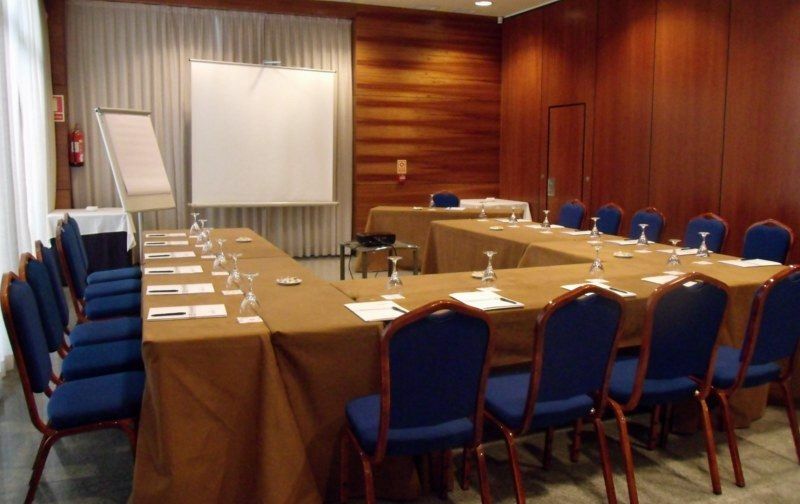 In Eco Vía Lusitana, we have spacious and versatile meeting rooms, suitable for hosting any business event as well as any banquet or family celebration. 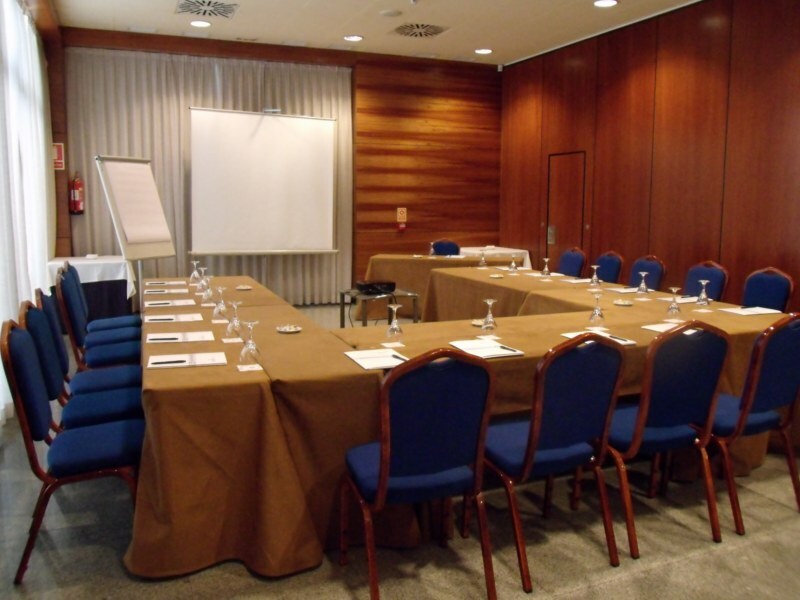 Our two modular meeting rooms, Villa de Madrid and Lusitania, have an area of 85 m2 each, reaching 170 m2 when removing the modular wall. Furthermore, we have a more than 100 m2 terrace where celebrating cocktails, parties, banquets, or just for enjoying a pleasant time after banquet or a quite coffee break. 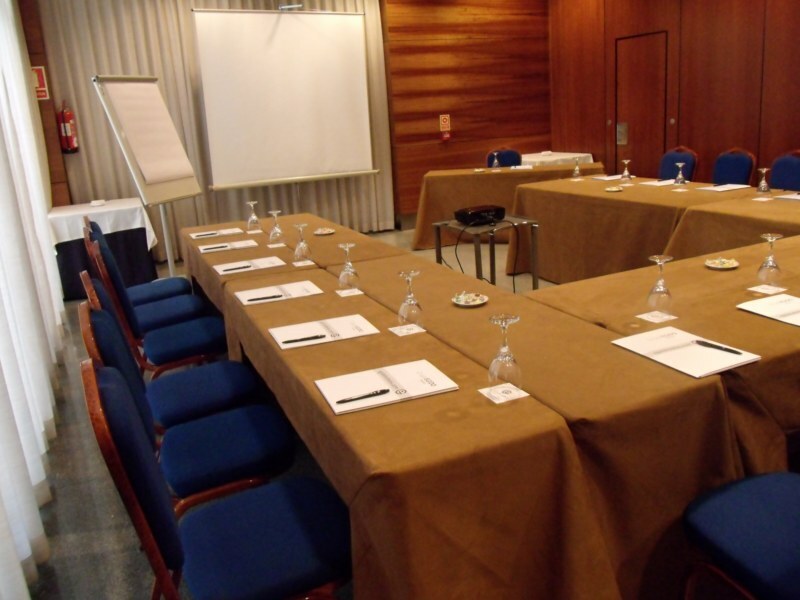 We organise different sorts of meetings and business events, including different coffee break options, aperitif, cocktails and business lunch and dinners. We have the necessary audiovisuals for your event (some with additional charges). 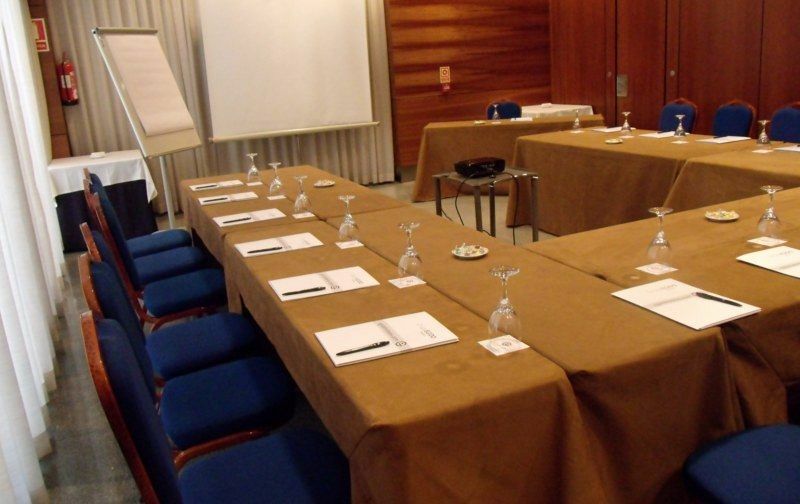 Our cuisine and the flexibility of our spaces, make Hotel Eco Vía Lusitana the perfect location for banquets.